The MEGA TURN 500M Vertical Turning Center brings unmatched speed, torque and accuracy to large part production. Especially beneficial in automotive manufacturing applications, the small-footprint machine is easily automated within a minimal amount of floor space. 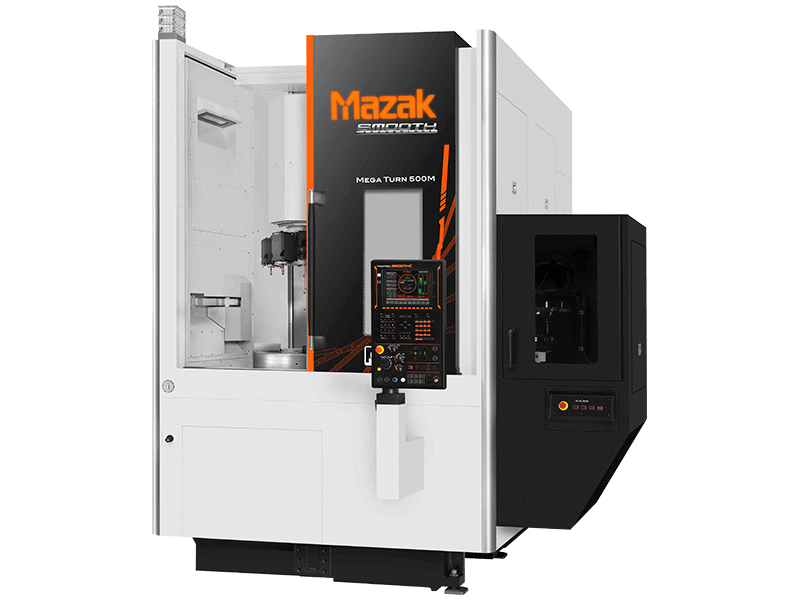 Designed and built in the Mazak Kentucky manufacturing plant, the MEGA TURN 500M has a powerful integral spindle/motor headstock that minimizes vibration and generates high-torque for big part machining. The machine’s vertical orientation works with gravity for easier loading and unloading and assists in chip evacuation. As an M configuration, the machine has a rotary tool spindle that allows it to perform secondary machining operations such as milling and drilling. As a result, shops can process parts in a single machine cycle for an overall boost in productivity and workpiece accuracy.